Being an adult is hard. From figuring out how to make a budget to setting your own dentist appointments, there are a lot of things you took for granted when your parents were still involved in your day-to-day. There are some things they can still help you with, of course – like sending you recipes for Grandma’s cheesecake or telling you how to file an insurance claim. But for other things, they might not have the recent experience to tell you where to start. For instance, when I moved to Brooklyn and asked my dad how I should go about buying a mattress, he responded, “I have no idea, I haven’t bought a new mattress in a long time. Just by the cheapest one, I guess.” So I was pretty much on my own with that one. But shopping for a mattress is kind of a big deal. Not only do you sleep on it every night, but you’re also likely going to have it for a long time. It’s a big investment, and there’s nothing more wrong than putting down several hundred dollars on a big lump of coils and padding, only to discover a few months in that you absolutely hate the thing and your sleep is suffering because of it. So, here are a few pointers to let you know if you’re investing in — and sleeping on — the right mattress. The average mattress needs to be replaced every eight years or so. But if you’re having trouble sleeping because of discomfort or pain, consider getting a new one even sooner than that. There are certain things that thrift stores and garage sales are great for, but mattresses are not one of them. 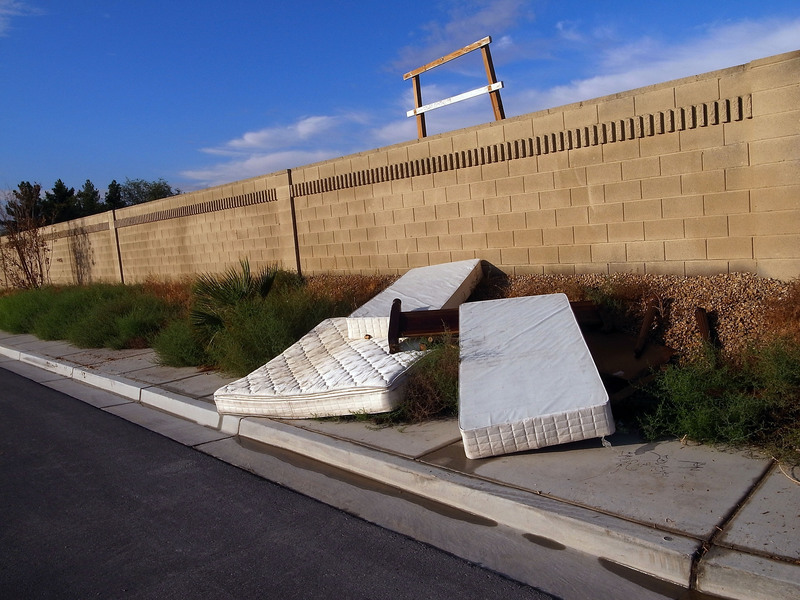 Not only do older mattresses lose support and structure, but only mattresses manufactured after 2007 are required to meet fire resistance regulations. While some suggest a firmer mattress is better for you, it’s really up to your personal preference. If you prefer a softer mattress, go for it, as long as you’re getting a good night’s sleep. Just because a mattress is made by a name you recognize doesn’t necessary mean it’s better. Most mattress coils are made by the same company, anyway. If you sleep next to someone — and you can afford it — try to go for a mattress that allows sleepers on each side to adjust firmness to their taste. If you suffer from allergies, seek out hypoallergenic mattresses, especially if you suffer from allergies for things like dust mites or mold. You can also opt to get a hypoallergenic mattress cover, or just try to vacuum often and thoroughly. If you’re looking to buy a new mattress, it’s not enough to lie on it for a minute before declaring it the one. Try to lay down in a sleeping position for at least 20 minutes, to get a real feel for the thing — even if you’re worried about looking weird. There are also startup mattress companies like Casper and Tuft & Needle that allow you 30 days or more to "test drive" their product. If you prefer a softer bed, it’s tempting to buy a mattress that has a pillow-top already built in. But that’s not always the best way to go. But if you buy something a little bit more firm, you can always go to your local department store and get the exact pillow top or padding that suits your needs. Remember, you can always make a mattress softer — it’s more difficult to make a soft mattress firmer.